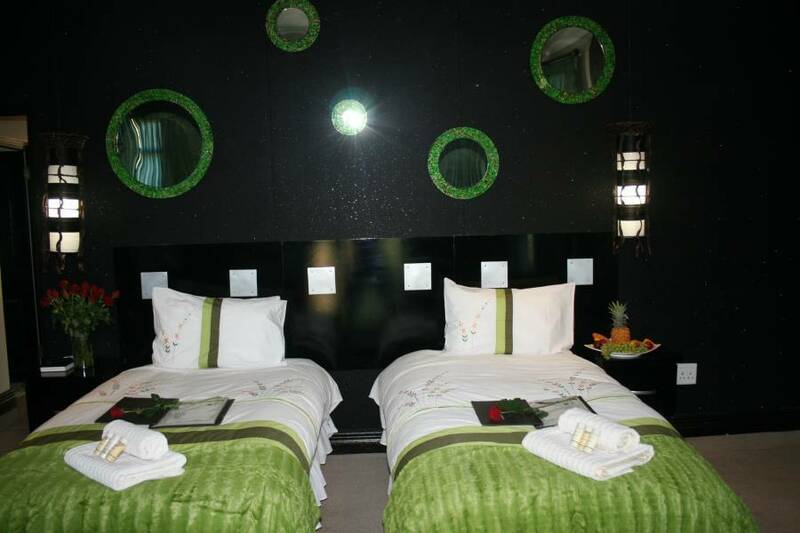 Elegant, safe and affordable Guest Lodge with warm hospitality situated just 5 min. from OR Tambo International Airport with free airport shuttle it is an ideal place for business and tourists. We are centrally located with quick access to Gauteng’s major highways, central attractions points and mayor business centers, situated in a security-boomed area for a great restful stopover. Africa Paradise offers you a safe haven away from home where you can linger in the garden, around the heated pool as long as you please. Sit back and relax in a suburban area with only the noises of Mother Nature. 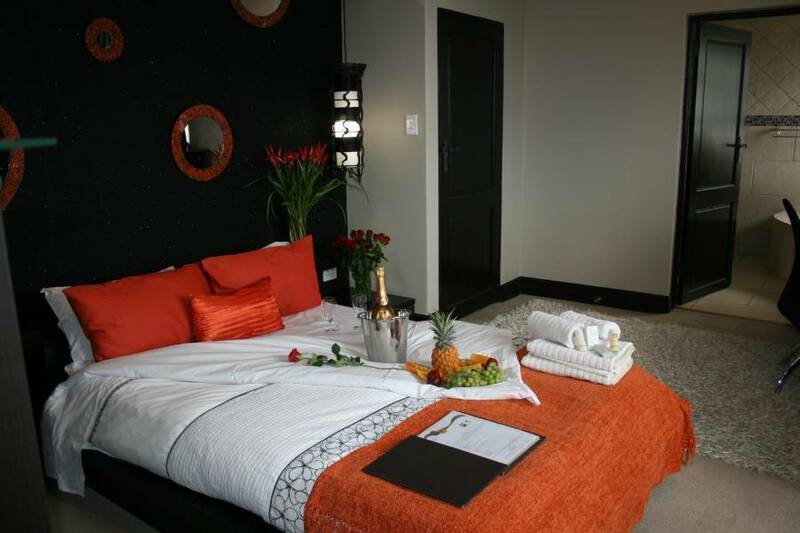 The welcoming staff will endeavor to make your stay as memorable as possible with great value for money. The Lodge is designed to suit the needs and expectations of all type of travellers to ensure that their return. 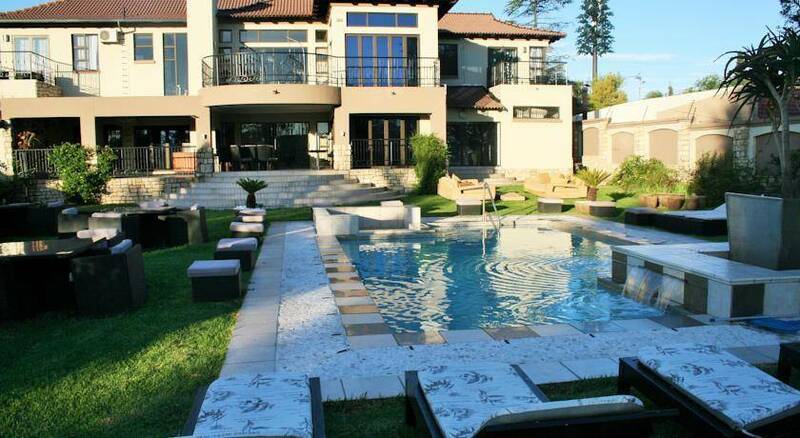 Our exquisite and stylish accommodation comprising singles, doubles, twins, triples, quads, groups and family rooms. Each of our uniquely decorated rooms offers satellite TV, jet spa, air-conditioning, heater and tea/coffee making facilities. Free breakfast is offered to all Africa Paradise guests. Africa Paradise restaurant offers fresh, wholesome local and international cuisine to satisfy the most demanding and discerning of appetites. Daily delicious options for the time-conscious guests. Try our wide selection of wines, beers, spirits and cocktails. The Lodge is designed to suit the needs and expectations of all type of travelers to ensure that their return. 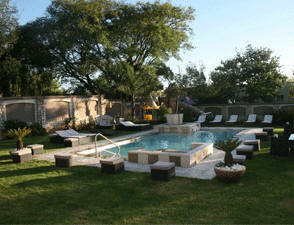 Our exquisite and stylish accommodation comprising singles, doubles, twins, triples, quads, groups and family rooms. We are centrally located with quick access to Gauteng’s major highways, central attractions points and mayor business centers, situated in a security-boomed area for a great restful stopover. After about 4 km, pass the off ramp for R43 Atlas road North and take the off ramp for R43 Atlas road South to Benoni. At the end of the off ramp turn Left. Cross over two traffic lights and turn left into Lakefield road. Continue over one set of lights (Lakefield Square on the left). The road makes a fork - take the right hand fork (Planet Fitness Gym will be on your left). Take the first right into Sunnyside Ave.
After 0, 4 km (Golf Course will end on your left) turn left into Stymie Ave.
After 0, 5 km the lodge will be on your right. Free shuttle service From Airport. Shuttle service available for guests to go to shops and malls etc.